Caring for your family member can be challenging even under the best circumstances. When our love ones are no longer safe to live alone or have about the ability to care for themselves, it can be difficult for our loved to face this reality. Conflicts often arise making care giving stressful. The care managers at Barr Private Care have the expertise to help you through these demanding times. Barr care managers have the experience and the objectivity to help guide you through the process of making these critical decisions. We will make a home visit and make a complete need assessment. 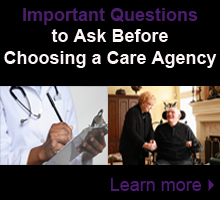 A care plan is developed from our complete assessment. Seniors who live alone are at a greater risk of malnutrition. Consider using a meal service such as Meals on Wheels or a grocery delivery service. HyVee does a great job of shopping and delivering for our seniors. to provide personal care and assist with daily living needs.